Product #1331 | SKU BGME6 | 0.0 (no ratings yet) Thanks for your rating! The BGM-E6 Battery Magazine from Canon is designed for use with the Canon EOS 5D Mark II Digital SLR camera and the BG-E6 Battery Grip. This unit accommodates six AA batteries as an alternative to (6) lithium batteries to power the Canon EOS 5D Mark II. 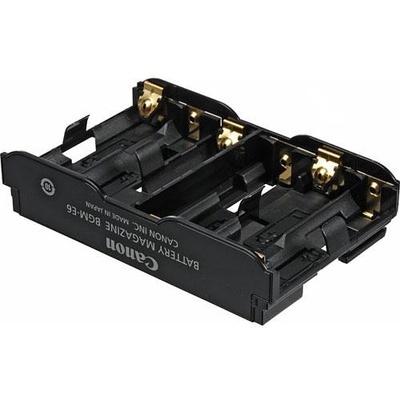 Use this unit to power the BG-E6 Battery Grip on your Canon EOS 5D Mark II camera with (6) batteries.